The capabilities of iOS devices in for music production have been growing rapidly since the first iPhone was released back in 2007. iOS musicians are now spoilt for choice when it comes to music making apps, from mobile DAWs to AUv3 instruments and effects, music making on iOS has never been this exciting or inspiring. But while the platform’s abilities are constantly growing, the question remains whether mobile devices will ever have a place in ‘serious’ music production. The vast majority of professional music being created nowadays is made on desktop using a DAW like Pro Tools, Logic or Ableton and it seems set to stay this way for the foreseeable future. However, the portable nature and unique workflow of iOS has attracted it’s fair share of devotees. Although this is by and large an amateur audience, there have been a handful of higher profile releases using iOS devices which proves that the platform is certainly more than capable of producing music of a professional standard. Way back in the early days of iOS music production (in the dark days before Audiobus even!) Damon Albarn’s pioneering virtual band, Gorillaz, quietly released their fourth studio album, The Fall, with a distinct lack of promotion. The album was released on the Gorillaz website on Christmas Day 2010 as a free download available only to members of the band’s fan club. The album was pegged as the world’s first iPad album, which some critics were quick to dismiss as a gimmick, but the album itself proved that the platform was far from restricting, fitting the band’s experimental tendencies perfectly. The album was written and recorded in the preceding Autumn (hence the name) entirely on an Albarn’s iPad during the American leg of the band’s Plastic Beach tour. Albarn used his iPad as a musical diary, documenting his journey across the US. The album made use of a range of iPad apps in conjunction with various bits of hardware, all of which are listed here. 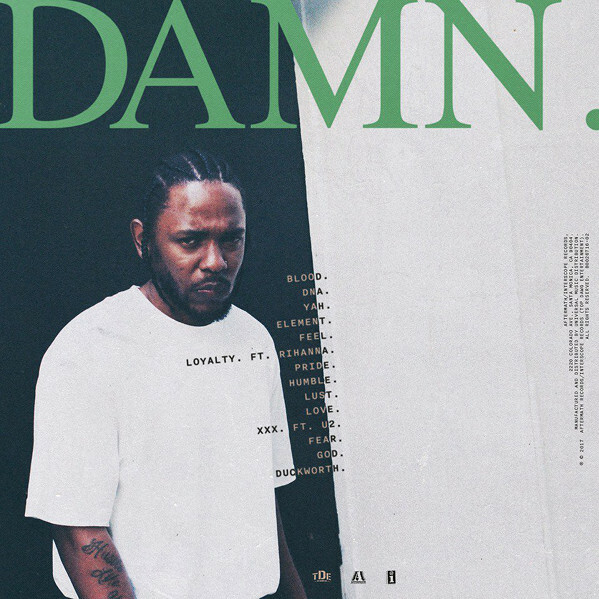 A more recent example of iOS being used for professional level music production can be heard on Kendrick Lamar’s Grammy award winning 2017 album, DAMN. The album features contributions from a range of high profile producers, and following the album’s release, Steve Lacy, who had contributed to songwriting and production on the track PRIDE, revealed that he’d made the song’s beat entirely in GarageBand iOS on his iPhone 6. Using an iPhone is Lacy’s primary method of music creation, having learned his craft on an iPod touch, Lacy combines various iOS apps with his guitar and bass playing skills via an iRig audio interface. Also, somewhat unusually, Lacy even prefers to record vocals using his iPhone’s built in microphone, simply holding a pop shield in front of his phone and singing, rather than hooking up an external microphone. Other examples of Lacy’s iOS production can be heard on his work with his band, The Internet, and on his solo EP, Steve Lacy’s Demo. While it’s far from standard, Lacy is not the only successful producer to be primarily using an iOS device. Henny tha Bizness of production duo Tha Bizness, who have previously worked with some of hip-hop’s heavyweights – Ice Cube, Nas and Kendrick Lamar just to name a few – has now completely swapped desktop production in favour of a portable set-up, using his iPad and BeatMaker 3 to craft his tunes. Henny has become an advocate for iPad as a device for music production and has an excellent YouTube channel packed with iOS music tutorials and advice. Another professional producer who has recently revealed his love for mobile music making is MeLo-X who found success after co-writing and producing tracks on Beyonce’s Lemonade. MeLo-X has claims to split his production work 50/50 between working on desktop and working on his iPad or iPhone using apps like BeatMaker 3 and Auria Pro. In the video below MeLo-X talks through his process and demonstrates how he writes music in BeatMaker 3. Of course there are possibly other examples out there that have been made solely or partially using iOS devices as we can’t be sure exactly how every track is made. But those who have moved to the platform have proved that iOS is more than capable of ‘serious’ music production. As iOS becomes more powerful, we’ll hopefully see this list grow and perhaps it’s only a matter of time before we get a hit song produced on iPad.